If you can’t find your keys, can’t think of the word you want during a conversation or can’t remember the name of an acquaintance you just ran into, you might worry (or joke) that you have Alzheimer’s. Or dementia. We tend to use those terms interchangeably. Are they just different words for the same thing? The short answer is “sort of.” Alzheimer’s is a dementia…but not all dementia is Alzheimer’s. Actually, “dementia” is not a specific disease but a term applied broadly to a range of symptoms including severely declining memory, judgment, language skills and ability to reason. The mild forgetfulness that naturally accompanies age isn’t dementia. For example, occasionally forgetting where you left your car keys is normal…forgetting how to drive is not. There are more than 50 types of dementia, many of which are hard to tell apart. The primary risk factor is just getting older—dementia is rare in people younger than 60 but becomes increasingly common with age, affecting nearly half of people older than 90. Family history also influences risk, especially if you have a close relative who developed dementia before age 70. While doctors can usually identify that a patient has dementia, it’s often more difficult to determine exactly what kind. Figuring out what treatment will help can be tricky—and treatment that helps one kind can make another kind worse. So it’s important to know the characteristics of particular dementias. Alzheimer’s disease (AD). Alzheimer’s disease accounts for 60% to 80% of all cases of dementia. It is characterized by buildup of the protein beta-amyloid, which forms plaques in brain cells and kills them. Gradual memory loss is the most well-known symptom—others include confusion, trouble with language and concentration, inability to handle complicated activities and not recognizing familiar places or people. Decline is typically gradual, eventually including deterioration in balance and walking ability. Vascular dementia or vascular cognitive impairment (VCI). VCI is the second most common type of dementia and is usually the result of a stroke. It is caused by blocked arteries in the brain that reduce or cut off blood circulation, damaging and eventually killing brain cells. Symptoms include memory loss and trouble with language accompanied by impaired reasoning and behavior changes such as severe depression. Progression of symptoms is typically steplike—occurring suddenly then remaining stable for periods of time before continuing to progress. Dementia with Lewy bodies (DLB). Dementia with Lewy bodies, the third most common form of dementia, is caused by a buildup of the protein alpha-synuclein in brain cells. As with other dementias, memory loss is a symptom. But people with dementia with Lewy bodies also experience vivid hallucinations, sleep disturbances and difficulties with movement. Alpha-synuclein is the same protein that builds up in the brains of people who have Parkinson’s disease although in a different pattern than with dementia with Lewy bodies. Since symptoms of both include tremor and muscle stiffness, it can be hard to tell the two apart. Frontotemporal dementia (FTD). Frontotemporal dementia results from nerve cell damage in the frontal (behind the forehead) and temporal (behind the ears) lobes of the brain. Symptoms include personality changes such as loss of empathy, foresight, judgment…inappropriate behavior…difficulty walking…language problems such as inability to formulate or understand words in a spoken sentence or hesitant, labored, ungrammatical speaking. FTD is one of the less common dementias, and there is strong evidence that it is highly hereditary. One clue that helps diagnose this dementia is that the disease usually begins at an earlier age—about 40 to 45—than other forms of dementia. People who get FTD generally survive fewer years than those with other dementias. Unfortunately, there isn’t an easy physiological test, such as a blood test or brain scan, that can indicate whether someone has dementia—making diagnosis a challenge. Doctors can pretty accurately determine that a patient has some form of dementia by assessing the patient’s complete medical history…results from mental assessment checklists…and changes in behavior. Determining the type of dementia is harder. Blood tests, brain MRIs and other tests are used to make sure something else, such as a vitamin deficiency or brain tumor, isn’t causing the symptoms. These tests might also help steer doctors toward identifying the type of dementia. Some of the symptoms of dementia—depression, sleep disorders and certain behavior changes—can be managed with drugs. Drugs can even slow down memory loss, at least in the early stages of the disease. However, progression of the disease can’t be stopped, nor is there a cure. Eventually, and unfortunately, people who have dementia long enough will lose the ability to care for themselves and will need to be cared for in a safe living situation. You should also know that the first signs of dementia might not seem to be a cognitive problem. 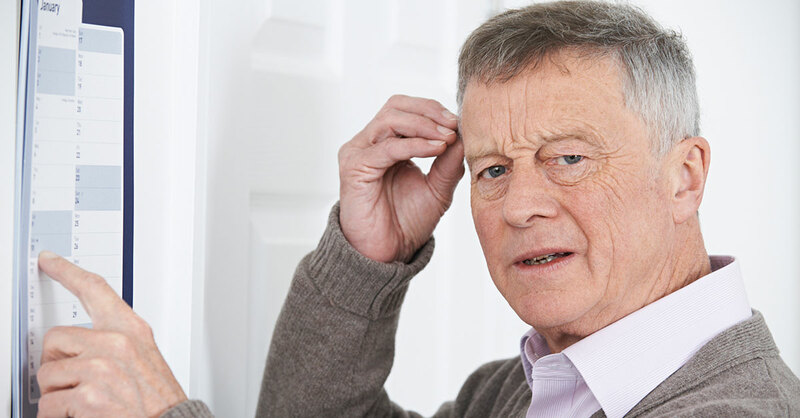 Read Bottom Line’s “When Dementia Doesn’t Start with Memory Loss” to learn more.